Quoi de neuf dans les bacs cette semaine ? Pour le savoir, Pixbear vous propose sa sélection d’albums à écouter en intégralité. 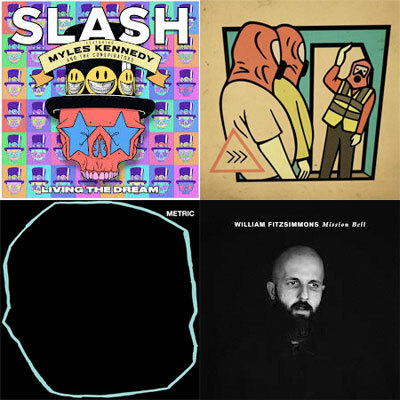 Au menu : les nouvelles livraisons de Slash, Beak>, Metric, William Fitzsimmons, Advance Base, Bad Moves, Billy F Gibbons, The Black Black, The Blinders, BROCKHAMPTON, Carl Broemel, Christine and the Queens, Constant Mongrel, Dead Letter Circus, Dragonlord, Elysian Fields, Ezza Rose, Father, Greg Laswell, Hudson Taylor, Human People, Hypoluxo, Iomair, Joyce Manor, The Last Bison, Lonnie Holly, Mountain Man, Mutual Benefit, The Paper Kites, Piles, Plainride, Richard Reed Parry, Ryan Hemsworth, Same Girls, Scott Sharrard, Sha La Das, The Shifters, Sobrenadar, St. Lucia, Subways on the Sun, Suede, Sumac, Supersuckers, Tahiti 80, Thalia Zedek Band, Tiny Deaths, Tor Miller, Vessel of Light, Villagers, Voivod et Zula. Bonne écoute ! Vous pouvez écouter en intégralité ci-dessous les nouveaux albums de Slash feat. Myles Kennedy & The Conspirators (Living the Dream), de Beak> (>>>), de Metric (Art Of Doubt) et de William Fitzsimmons (Mission Bell). Enfin, Advance Base, Bad Moves, Billy F Gibbons, The Black Black, The Blinders, BROCKHAMPTON, Carl Broemel, Christine and the Queens, Constant Mongrel, Dead Letter Circus, Dragonlord, Elysian Fields, Ezza Rose, Father, Greg Laswell, Hudson Taylor, Human People, Hypoluxo, Iomair, Joyce Manor, The Last Bison, Lonnie Holly, Mountain Man, Mutual Benefit, The Paper Kites, Piles, Plainride, Richard Reed Parry, Ryan Hemsworth, Same Girls, Scott Sharrard, Sha La Das, The Shifters, Sobrenadar, St. Lucia, Subways on the Sun, Suede, Sumac, Supersuckers, Tahiti 80, Thalia Zedek Band, Tiny Deaths, Tor Miller, Vessel of Light, Villagers, Voivod et Zula clôturent ce panorama des sorties de la semaine avec leurs nouveaux albums à découvrir en intégralité ci-dessous. 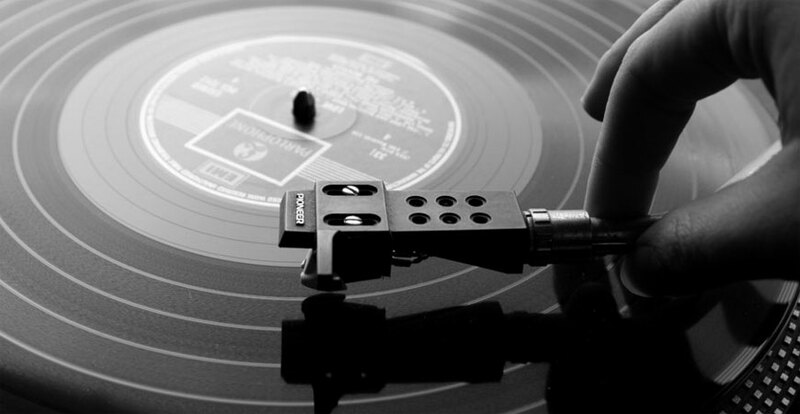 Pour ce faire, cliquez sur le disque de votre choix.